A while ago I posted on the LED Revolution in lighting. I expected LED lighting to take more than a few years before it was significant - due to the higher cost of LED lights as compared to compact fluorescent lights. The need for more efficient lighting is clear. About 10% of electricity usage in the US is for lighting. LEDs use only about 15% of the electricity of incandescent lights, whereas compact fluorescents are in the 25% range. Early LED bulbs were expensive and produced a harsh blue-white light. 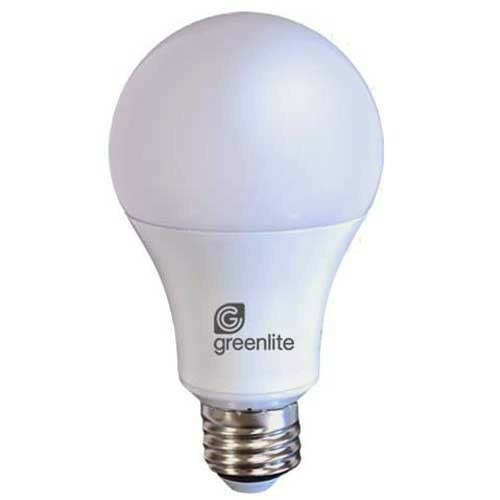 I recently purchased a few LED bulbs and was pleasantly surprised at their low cost, about $3.50 on Amazon or even less in my state of Vermont, which appears to have a subsidy. I am writing this post under a 60 watt equivalent LED (energy use is only 9 watts). The light is a pleasing color and I can touch the bulb and not get burned, it simply feels a little warm. The bulb even looks like an incandescent bulb as seen in the image below. Figure: A modern LED light bulb looks like an incandescent bulb, has a pleasing color temperature, uses only 15% of the electricity of an incandescent bulb and lasts for 30,000 hours. The most common technique to produce white light is to use a blue LED to excite a yellow phosphor. The high brightness blue LED is a relatively new invention, having been developed in 1993. The fundamental material for the blue Led is gallium nitride. And of course gallium nitride can’t be produced without gallium. So it looks like the LED lighting revolution has arrived. One other pleasant thought is that LED lights last so long (30,000 hours vs incandescent’s 1,000 hrs) that many LED bulbs will never need replacement.